We caught up with several Baltimore Ravens players at Anquan Boldin’s Inaugural Fundraiser Dinner at M&T Bank Stadium in Baltimore, and had the opportunity to ask them about their responsibility to give back to the community as pro athletes as well as their advice for the younger players on how they can get involved with charity work and a find a cause that's meaningful to them. We spoke to Rice Rice, Michael Oher, Matt Birk, Joe Flacco, and Ed Reed. We also recently published Q&A’s with Ravens wide receiver Anquan Boldin and defensive tackle Haloti Ngata, who provided invaluable insight about philanthropy and are role models off the field. Q: What does it mean to you to be a professional athlete in terms of leveraging your celebrity to give back to the community? 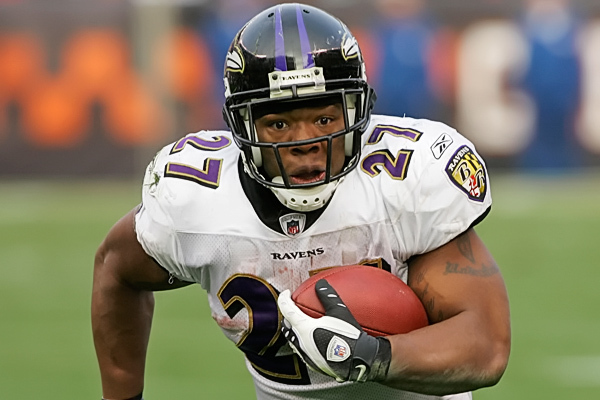 Ray Rice: I think being a professional athlete is a big part of your job, but if you’re just being a football player you’re not filling a total fulfillment. Giving back to the community is one of them things you can’t take for granted because they're people that look up to you on and off the field. And being a community ambassador is something that, especially [with] all the things that I’ve been through in my life, it’s almost like my calling and duty to be part of the community. Q: What advice would you lend to aspiring athletes coming up in the ranks in terms of how they can give back to the community to prepare themselves to be in a position like you? Ray Rice: I think like you said, they got to position themselves. A lot of people think they have to donate money. But really if you donate your time to the community first, the money will follow because then people see you doing a good job and then they’ll want to help you. So, I just think follow your heart and desire, and just go out there and donate your time before you try to donate any money. Q: What does being a pro athlete mean to you in terms of your responsibility to give back to the community? 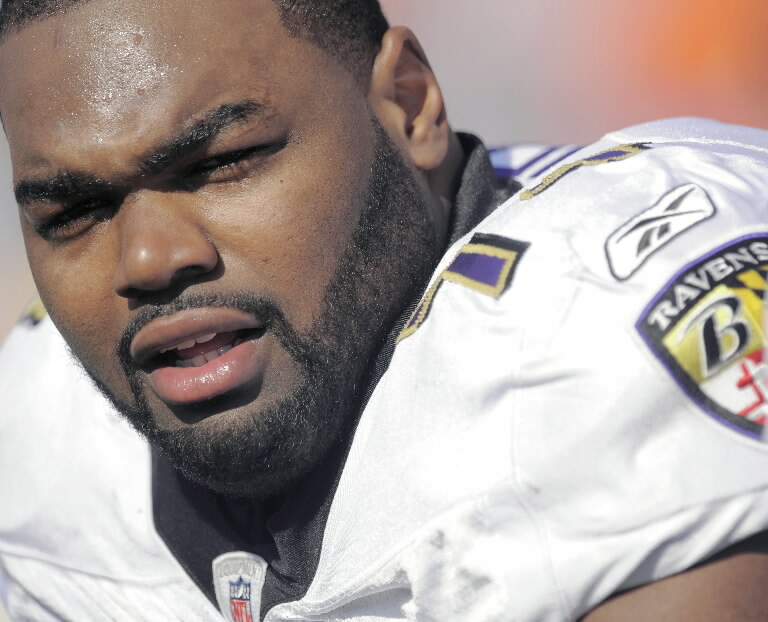 Michael Oher: A lot of people looking up to you. When I was growing up, I looked up to a lot of athletes I’d seen on TV. And I didn’t have a chance to see anybody in the community giving back. We didn’t have anybody where I came from. So it’s very important just to give back to the underprivileged people who need a hand. Q: How do you leverage your celebrity to give back to the community? Michael Oher: Just trying to keep being a positive influence and helping out the best way that you can. Q: What advice can you give to aspiring athletes coming up in the ranks in terms of how to give back and find a cause that’s meaningful to them? Michael Oher: It’s not that hard. As long as you want to give back and you’re a professional athlete, it’s very easy. People are going to want to follow you regardless because that’s your part-time job. Matt Birk: I think it’s great anytime a pro athlete or anybody in the public eye uses that platform for the greater good and to help some people or a group that needs help. Obviously being a professional athlete, we’re very blessed and very fortunate, and I do feel like it is our responsibility to give back. Q: What advice would you give to aspiring athletes coming up in the ranks as to how they can find a cause that is meaningful to them and really leverage their celebrity to give back, and not just start a charity for PR purposes or because other players are doing it? Matt Birk: I think that’s the key. You need to find a cause that is near and dear to your heart. A lot of people have been touched by different things, different influences growing up, different people. Everybody has something that they can relate to. For me, it’s education. That’s what I do. But for a lot of people, it might be a certain disease. Whatever it is, you just kind of look at your life. Again, you kind of realize how fortunate and how blessed you are. It really is the right thing to do. Not only that, but I’ve found it to be extremely rewarding. Not just my charity, but to be able to support the other guys too. You show up and you have a nice charity dinner and you're quote helping out somebody. That means your life is pretty good. Q: As a professional athlete, what does it mean to you in terms of your responsibility of giving back? Joe Flacco: I think that we are just put in such an advantageous position to do this kind of thing and just to lend a couple of hours of your time and do simple things like that, that really goes a long way. I mean obviously we have a lot of time taken up through the year, but it doesn’t take long to get out here and help some people out and help a teammate out. That’s really what it is—it’s just a little bit of time that can go a long way with a lot of people. Q: What advice can you give to the up and coming guys about leveraging their success in order to give back to the community? 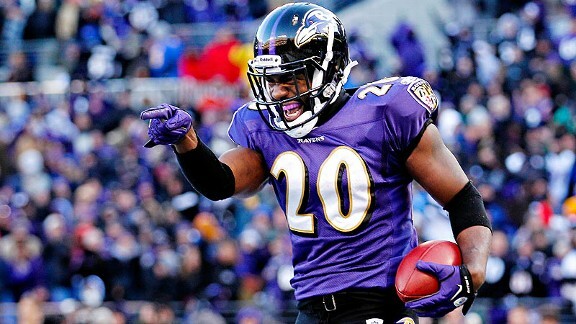 Ed Reed: You got to understand where you come from. Understand the people that helped you in the past. There are many people that helped you get to where you are today and helped you along the way as you’re going through life. So it should be easy for people to go back and give to their communities when you understand the help that you’ve had along the way from the mentors and the people that encouraged you. 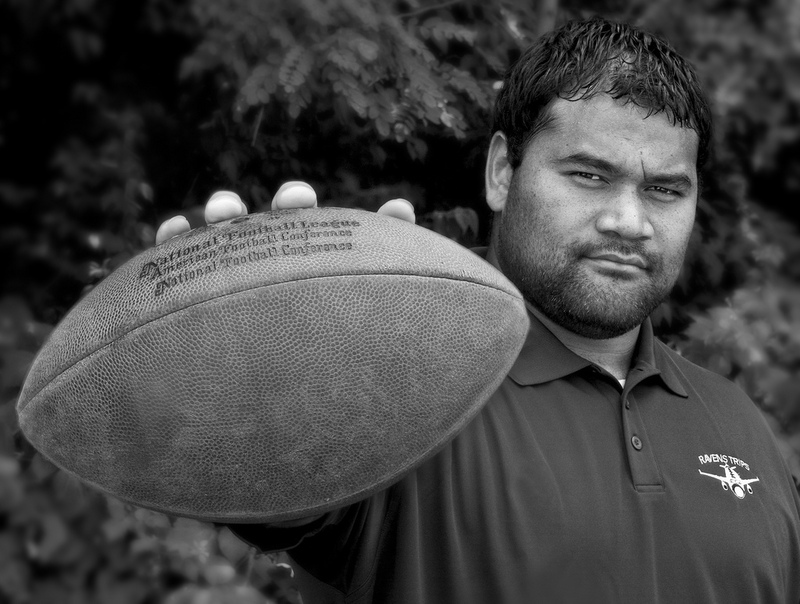 Haloti Ngata, 27, is widely considered one of the best defensive tackles in the NFL. The six-year veteran of the Baltimore Ravens earned his third consecutive trip to the Pro Bowl this season after recording 64 tackles, a career high, and adding 5 sacks. At 6-foot-4, 330-pounds, the versatile and freakishly athletic one-man wrecking crew is one of the anchors of the Ravens’ long vaunted 3-4 hybrid defense. Ngata and his Ravens will head to Foxborough next weekend to face Tom Brady and the New England Patriots in the AFC Championship Game. Ngata spoke to Access Athletes at Anquan Boldin’s Inaugural Fundraiser Dinner about his approach to being a pro athlete off the field. Q: Start off by telling me what it means to you to be a pro athlete and how you leverage your celebrity to give back to the community. Ngata: It’s huge for me. I’ve always wanted to be an NFL football player. I’ve always dreamed it. I always have looked up to guys like I could kind of be like, guys like Reggie White. That kind of person where he was a great football player, but then off the field he was a great man, a great father, and a great god-fearing man. So that’s the person I looked up to and hopefully I can be that same kind of person. So now that I’m here at Anquan’s charity dinner and doing things like this, hopefully the guys that are coming up seeing us doing these things understand that yeah you’re getting paid a lot and you got a lot of blessings and talent from God, but you definitely have to give back to your community to whatever things you want to do. It doesn’t have to be what somebody else wants; it’s whatever you want to have happen. So it’s great that Anquan can do some things like this and that all of us teammates that are here can be here to support him and help give back—and then we know Anquan would do the same thing for us. During my career in and around the National Football League, I had the opportunity to work with many great players! My early work to secure an NFL expansion team for St. Louis included NFL Hall of Famer Walter Payton. Payton made a mark on the football field, but also off of it. The NFL's highest award for player community involvement, the Walter Payton Man of the Year Award, was renamed in his honor. Ironically, as the head of the Rams Foundation from 1997-2009, I got to work with another legendary running back! 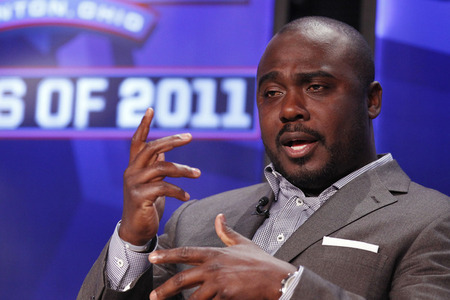 This weekend I salute another champion on and off the field - Marshall Faulk. As Marshall is inducted this weekend as the first St. Louis Ram, I reflect on the opportunities we had to help Marshall make an impact on St. Louis. Faulk was born February 26th, 1973, in New Orleans, Louisiana to parents Roosevelt and Cecile Faulk. The youngest of five brothers, he grew up in the Desire Housing Projects 9th ward. Sports were always a great escape from the bad influences in the neighborhood and at a young age began shaping Marshall into the man he is today. Faulk's love of the game started early on while playing at George Washington Carver High School. He excelled at four different positions: quarterback, running back, wide receiver and cornerback, even lettering in track and field. Marshall also excelled in the classroom, and especially loved math. He learned early on the importance of good grades and a strong education.